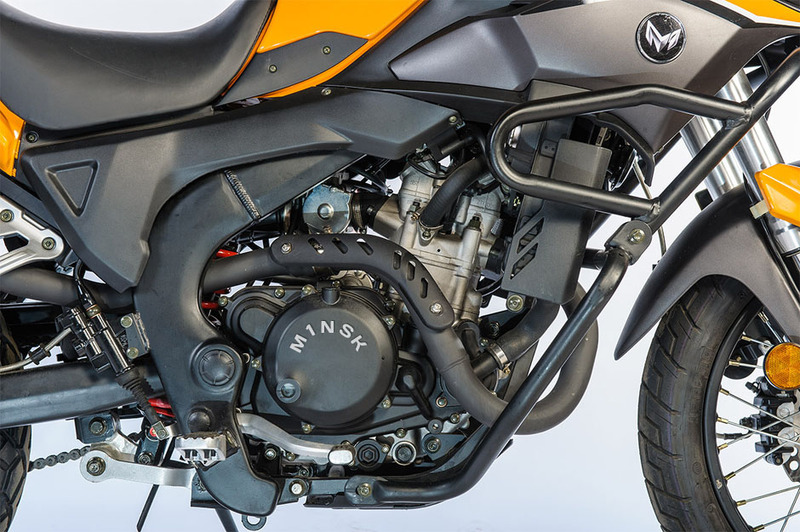 One bike I didn’t see at the recent Classic Bike Show was the M1nsk TRX300i (left). Even at the Belarus price of 52 million BYR (about £2400) that would be a particularly hard sell in the west: a former Soviet Bloc marque reborn in now independent Belarus with a Chinese motor. Depending on your entrenched prejudices, it’s hard to think of a less appealing combination. Chinese bikes are coming on for sure but although they’re said to be a cult in Vietnam, there can’t be that many of us that think fondly of old Minsks or any other two-stroke tractor from the benighted Soviet-era. There’s a good article on advpulse where they nail the origin of the TRX: a rebadged RX3 250 Cyclone from Chinese giant, Zongshen. Their NC250 motor is a water-cooled, 6-speed, injected unit with 11.5 compression making 25hp @ 9000 rpm. It’s often hard to find this detail but it’s said the alternator puts out 300 watts for your hot grip and vesting needs. There’s fun to be had with the dodgy translations on Zongshen’s Chinese website (right): ‘floral brake discs’; ‘handle bars with necking technology’; ‘humanized windshield’; hazardous lights…’ OK, that’s enough of that. With the undersized 3-piece luggage suite the weight is said to be 155-, 175- or a staggering 187kg (curb) depending on your source. 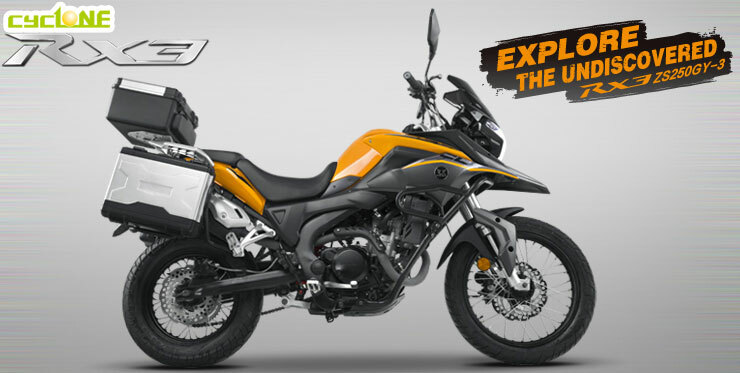 Whichever it is, it makes the Cyclone a hefty, very hefty or massively overweight 250, though that could be with little additional equipment needed to hit the road. 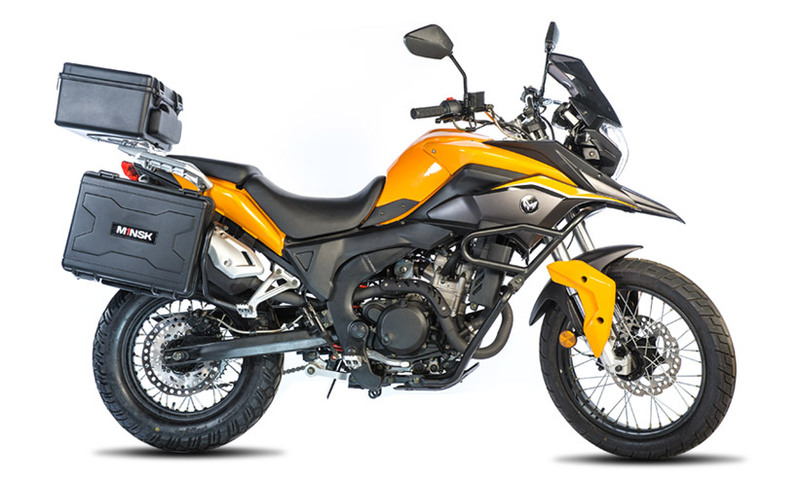 AdvMoto magazine briefly tested a Cyclone, so did Advpulse and they’ve just arrived in the US where they’re badged as a CSC and going for $3500. As this is written CSC have put their money where their mouth is by leading no less than 15 RX3s on a run down to Baja. 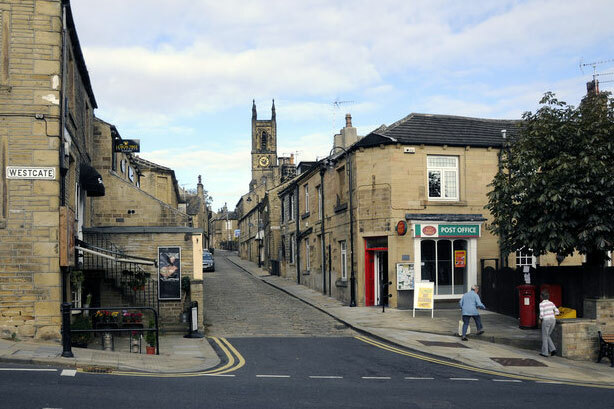 Hard to imagine anything like that happening in the UK where the Zong gets badged as a Honley Venturer 250 – that is Honley as in a suburb of Huddersfield. Originally priced at £3700, it was tested by MoreBikes (MCM) in 2014 by which time the price had dropped to around £3200 or less. Now it’s a £2600 ‘promotion’ which seems a fair amount of bike for the money. Zongshen are thought to be among the better Chinese bike manufacturers. I haven’t ridden this machine but though a 250 is is a popular capacity, it’s nothing special. The Chinese make zillions of 250s and there are plenty of good used Jap or Japish 250s around like the CRF or Tornado which I have ridden. 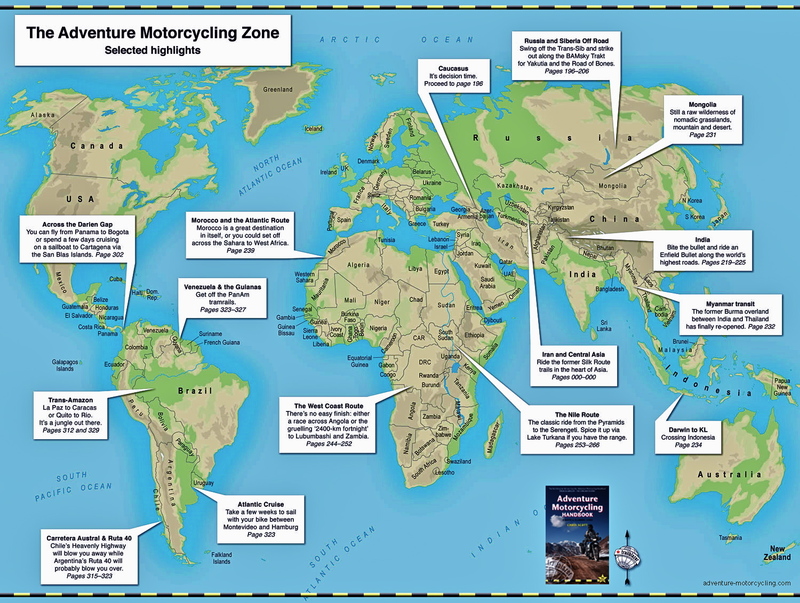 I believe the missing link for adventure biking is in the next size or two up. 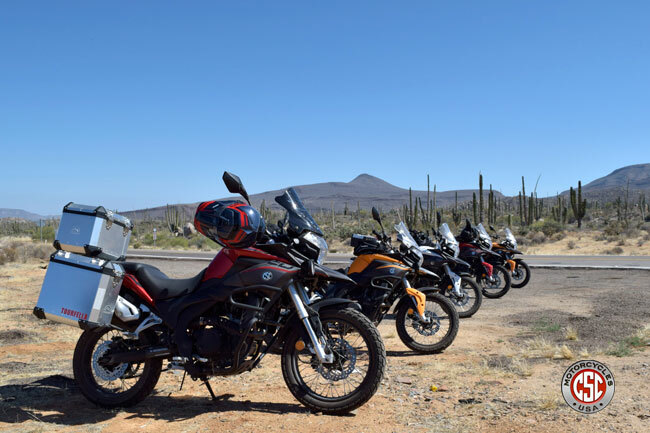 This entry was posted in Adventure Motorcycling Gear Reviews, AMH News, Project Bikes and tagged CSC RX3 250 Cyclone, Honley Venturer 250, M1nsk TRX 300i, Minsk TR300i, RX3 250 Cyclone, Zongshen RX3. Bookmark the permalink. I did like your review of zongshen`s 250 ( HONLEY ) XR3, and after i saw it back in nov 2015 , I picked one up from a little shop in redditch , for myself for xmas , thank you santa , and yes your right it is a fun bike , i would love to know , how it would do if pear off side by size to the honda ,yamaha or any of the jap adventure bikes of the same size cc ?